Q: Does this kit include the actual horn? A: No. 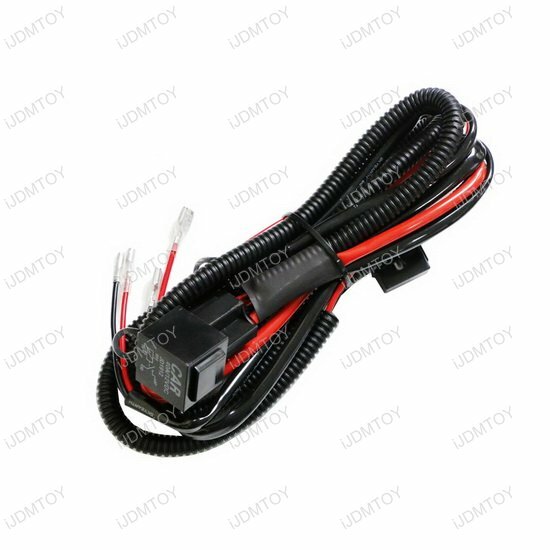 The 12V horn relay wiring harness only includes the wiring kit and does NOT includes a set of aftermarket horns. Q: How do I wire this horn relay harness? 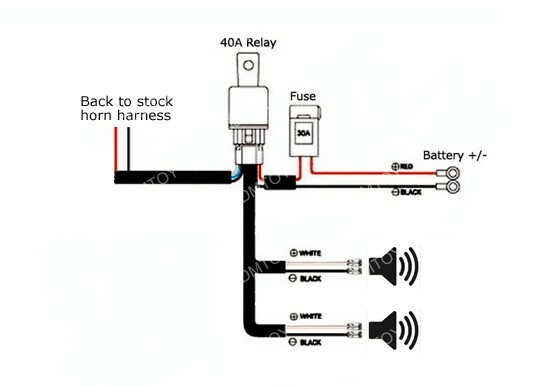 Take the trouble out of installing your aftermarket horns with this relay wiring harness. This relay kit will make the installation super easy! 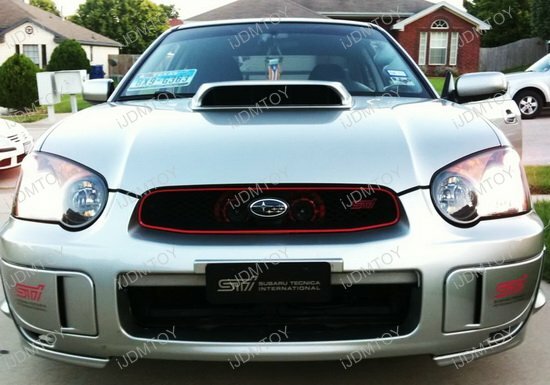 This harness gives you the option of using both your existing and your aftermarket horns, while maintaining your factory horn button with one easy setup. 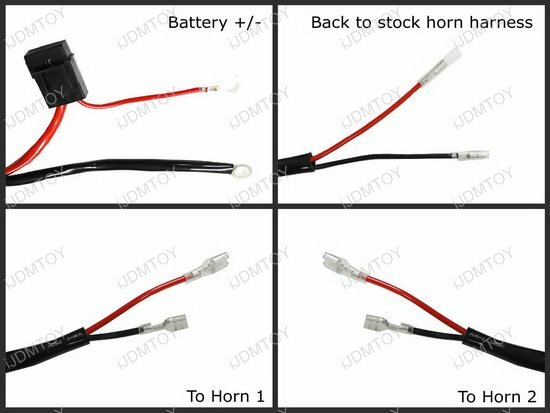 Since most car only has one horn, if you want install an extra pair of horns, it is necessary to use this relay harness kit. 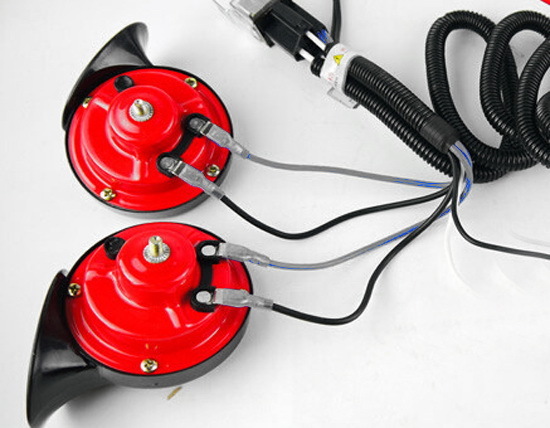 This relay harness kit will minimize the modification and make the installation super easy! 5 of 5 Total Reviews: 15 Write a review. 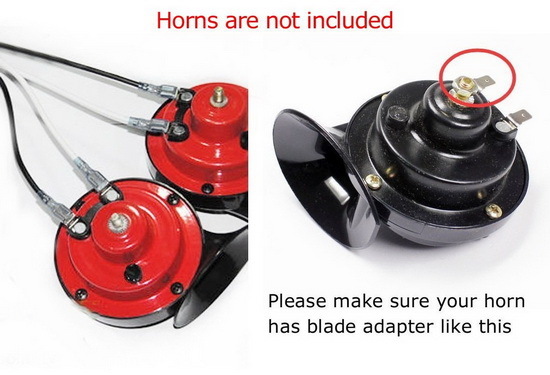 This worked great for installing my HELLA horn kit on my Honda del sol. I did have to do a little bit of extending due to the way I routed it into the cab but other than that it was perfect! Thank you! 1. There are mounting holes already in the car (Thank you Mazda!) you just need bolts. So pickup a pair of M6 - 1.00 x 16, and two M6 lock washers. You can also use M6 1.00 x 20 bolts. BTW, I also used some thread locker to keep it in there. 2. Take off the front bumper. Yes, it makes it so much easier. 3. 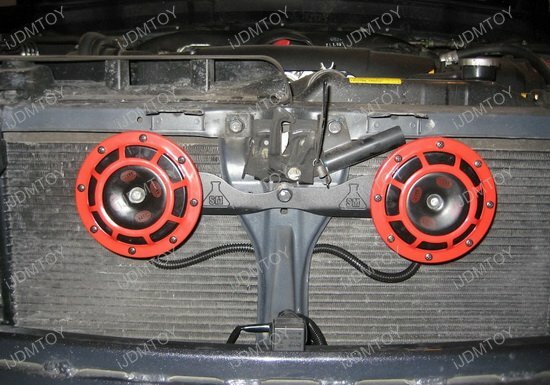 The stock horn connector is a spade type and the kit is cylindrical, so you'll need to figure that out by changing one of them. I just change mine to new spade type connectors. 4. Run all the cable as per the directions in the kit and zip tie it to keep it nice and tidy. I hope this helps, LOVE my hella horns now. Dumb drivers and pedestrians on their phones too busy to watch where they are going to do not like how loud my horn is...LOL. Oh, some have use the stock horn connection, but I figured, since I'm already in there, why not do it right the FIRST time and not have to go back in and fix it. 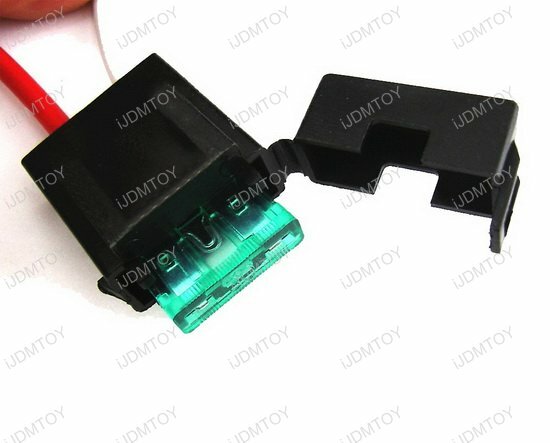 This horn wiring harness is great for a universal application. If you have the slightest knowledge of vehicle electrics you should be able to figure it out. If the lead is too short, extend it. Used it to wire auxiliary horns. Turned out great. Don?€?t expect this to work directly with whatever car you?€?re working on, it?€?s not made specifically for any one vehicle.